It’s been a while since we’ve taken a look at any hand tools here on OPC. 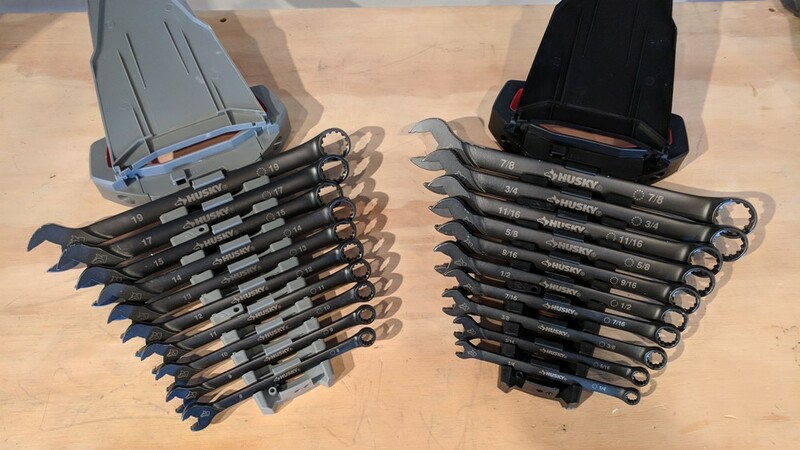 Today as part of our #PROSpective partnership with The Home Depot we’re taking a look at both the SAE and Metric versions of Husky’s 10-Piece Long-Beam Wrench Set. What’s Included in the Sets? 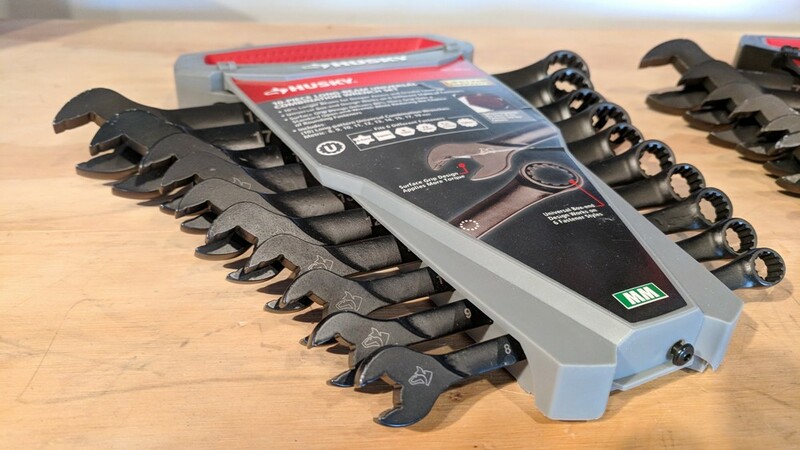 Each wrench set includes 10 dual-sided wrenches (open and closed ends) and a plastic carrying tote that serves as both the sales packaging and, if desired, the long-term storage solution for these wrenches. SAE Wrench Set: Sizes: 1/4, 5/16, 3/8, 7/16, 1/2, 9/16, 5/8, 11/16, 3/4, and 7/8 in. Metric Wrench Set Sizes: Sizes: 8, 9, 10, 11, 12, 13, 14, 15, 17, and 19 mm. 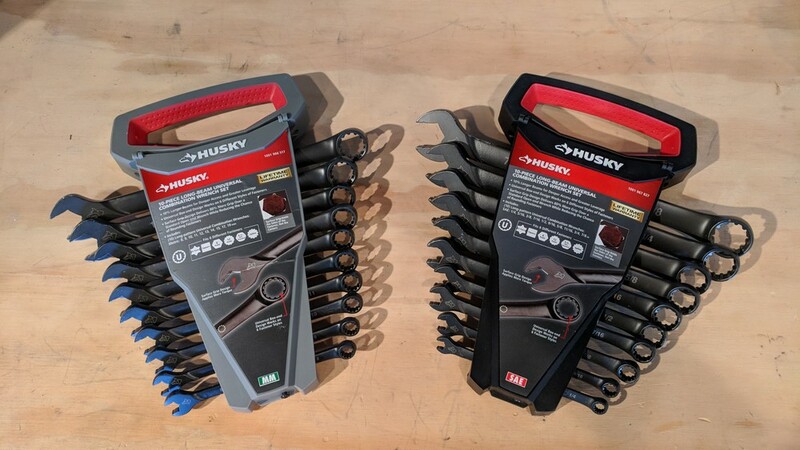 Improved Surface Grip: Husky’s surface grip design on the open end of each wrench holds the sides of a fastener rather than corners, resulting in significantly less corner rounding than standard wrenches. If you look closely at the wrenches, you can see the corners have a small cavity that prevents the tool from engaging the corner of the fastener before it engages the sides. 10% Longer Beams: Longer beams equals easier access to fasteners and greater leverage. 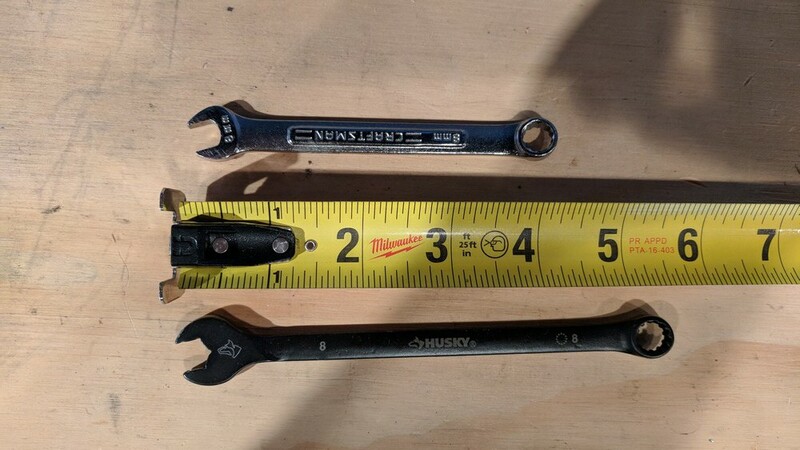 You can see from the pictures below that Husky’s version of these wrenches is significantly longer than the Craftsman wrenches we’ve had in our shop for a decade. 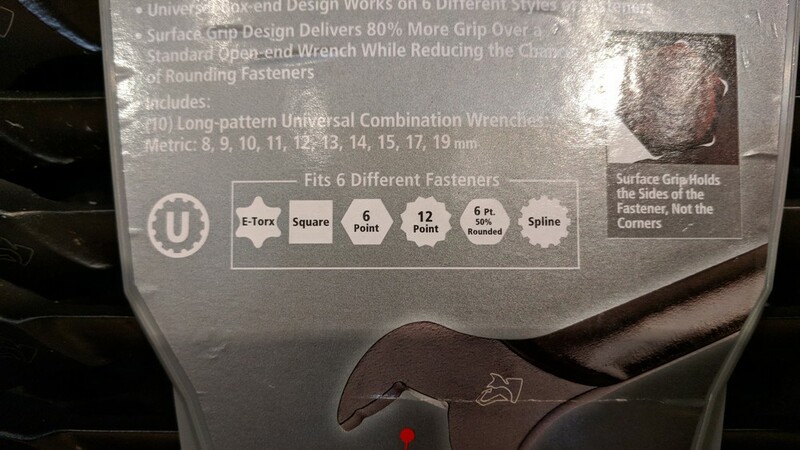 The difference is significantly more pronounced for the shorter wrenches. 6-Fastener Support: Husky has designed these wrenches to engage 6 different types of fasteners. While most of us will be using them on normal 6-point hex head fasteners, it’s good to know they will engage the other 5 if you encounter them. Who Will Love These Wrenches? These wrenches are perfect for a wide range of applications. Automotive mechanics and plumbers will certainly appreciate their longer reach for tight places. Carpenters, general contractors, and others will appreciate their firm grip on fasteners. 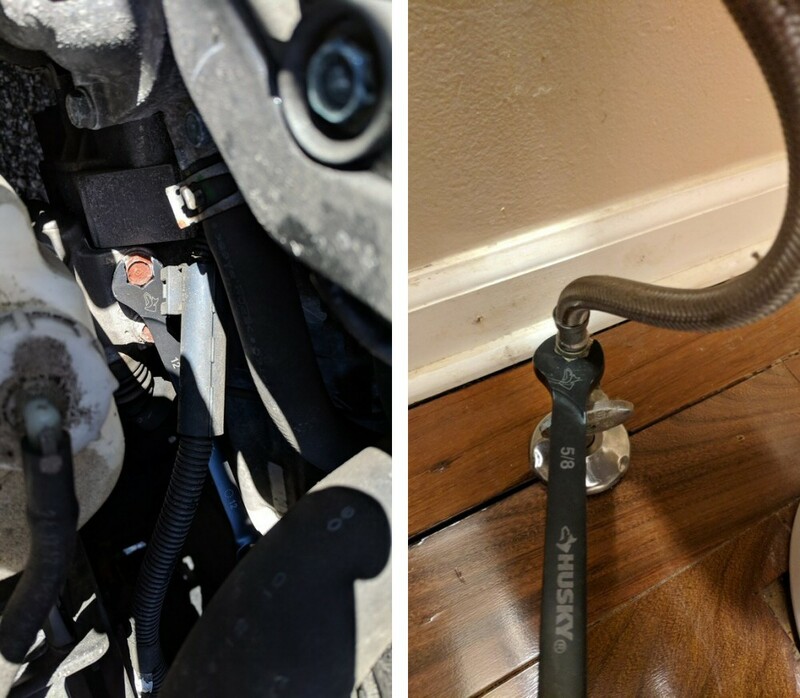 We used these wrenches in several plumbing activities to loosen and tighten plumbing connections in tight spots behind toilets, under sinks, and behind a washer and dryer during a recent remodel of a rental property. In each case, the fastener grip was fantastic and a noticeable upgrade from our older Craftsman wrenches. We also thought we’d try to access some hard to reach locations in an automobile and the grip and reach on these wrenches is fantastic. 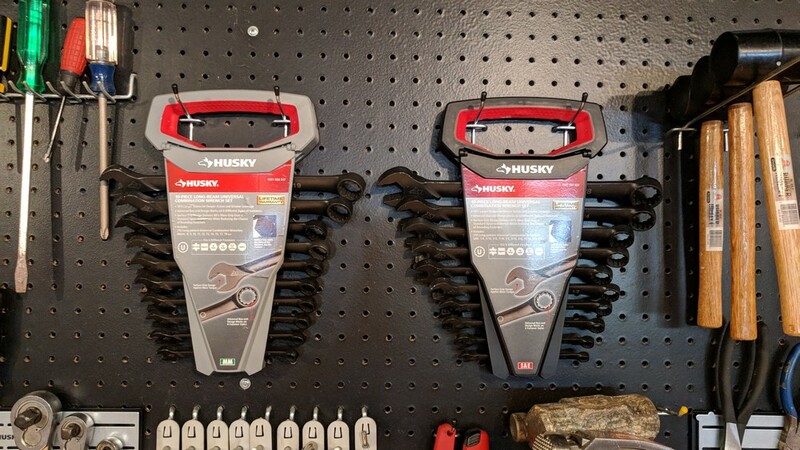 In our shop we like to keep our wrenches easily accessible and have had our Craftsman wrenches stuck to two Husky-branded magnetic plates on our pegboard for about 6 months. 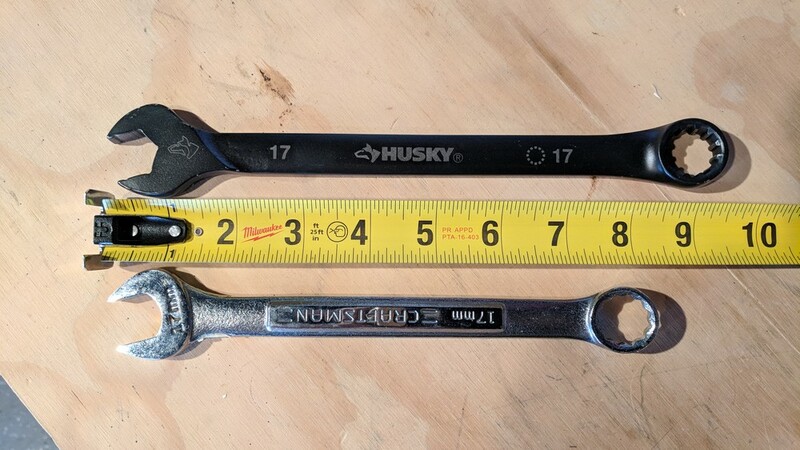 We swapped in these new Husky wrenches on to the same magnetic plates and it made for super easy access to the wrenches. 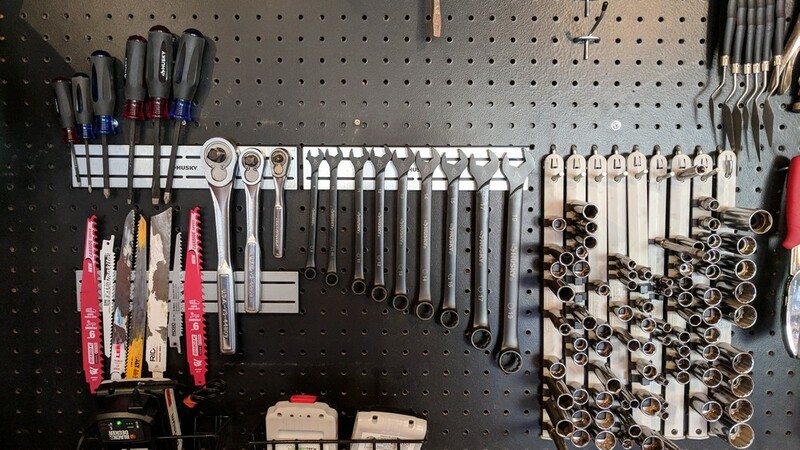 But, since the sales packaging for these wrenches also doubles as both a storage solution and carrying case, we’ve decided to leave the wrenches in their plastic cases and hang those cases right up on the pegboard with the rest of our tools. This gives us a little bit of magnet space back for other tools and blades in the future. All Husky hand tools are guaranteed for life. If the tool ever fails, you can take back to Home Depot or call 1-888-HD-HUSKY and they’ll help you through getting a replacement. That means, as long as you don’t lose these wrenches, they can be the last wrenches you’ll ever buy for your entire life. We love this about Husky hand tools and it’s one of the main reasons we believe so much in the brand.